Stay tuned for information on upcoming events as they are scheduled! Several workshops are in planning stages, including pit firing, decorating techniques, Raku and more. Stay tuned! Check this page often for upcoming workshops, shows and other events! Take a guided tour of the Firestick Studio with owner, Robin Nahin, who will share insights of the workings of the studio and the craft of making pottery. You'll likely see potters working, kilns being loaded, and some beautiful works in the gallery. Tours are always free. If you would like to schedule a short workshop during your visit, you can make a piece of your own pottery, or decorate an already bisque fired piece. The cost to add a workshop to your tour is $45 per person, or $40 per person for two or more. Fee includes materials and firing for one piece per participant. Fired pieces are generally ready for pick up about a week later or can be shipped if you are unable to pick them up at the studio (a shipping fee will be charged). Call 805 272-8760 to reserve a time. May be arranged for up to ten people. 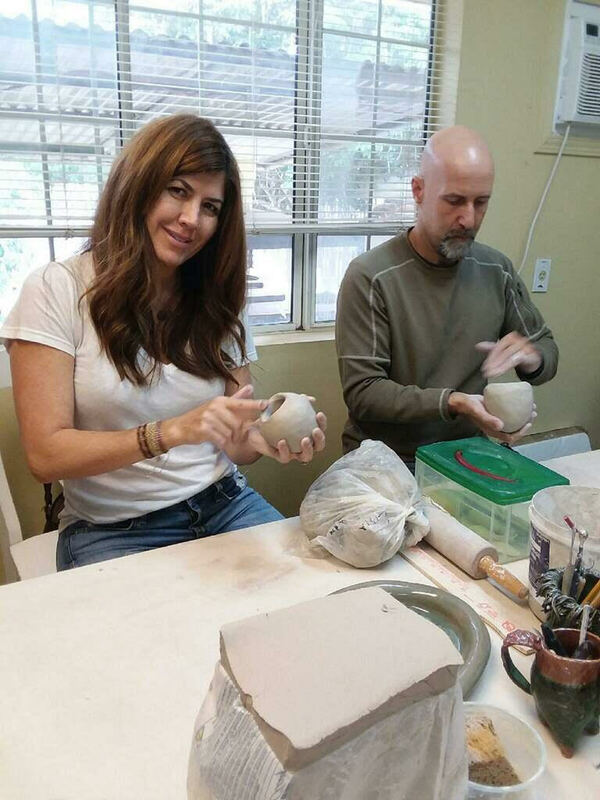 Try your hand at throwing on a potters wheel or sculpting. Bring your own refreshments. We'll provide the clay, glazes and even fire and mail your finished pieces for you. (Shipping charges extra). This is a fun friends or family outing or party. if you would like to do something unique in Ojai. By arrangement only. $40 to $45 per person, depending upon group size and needs. Call 805.272.8760 to inquire.